In the middle of all the event equipment party goers in Melbourne hire, there seems to be one that attracts attention from all these party must-haves. I am referring to sumo suits, of course. Once they see the suits in action, Sumo battling meets always hit a soft area with every person. Not simply is it safe yet nothing is a lot more funny than viewing two individuals in huge sumo fits trying to wrestle each other. To some folks, this does not come into mind when throwing a birthday celebration event or any other type of occasion. 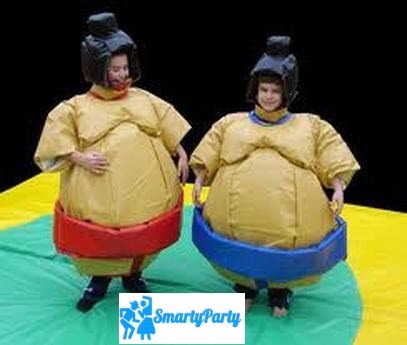 The sumo matches are an economical means to keeping the giggling, fun and good times rolling at any kind of gathering. What more, when you wear sumo suits, you become larger than life so to speak:). When selecting a party hire company to rent out from, there are a few suit features you must inspect prior to renting. There might not appear to be several variables when making your choice, yet there is. One item that must possess the typical sumo pads is the inflatable ring. The inflatable ring does several things for you; the ring keeps the wrestlers in a confined area, improves security by not permitting the wrestler to step off the floor covering and twist an ankle joint or other serious injuries due to stumbling or falling off the the ground. Likewise, a sumo ground pad produces a good protection by supplying support that the sumo matches could bounce off of. Many individuals in Melbourne are attracted to hire the one-of-a-kind party game are unaware of the advantages the filled with air ring supply for security and uninterrupted fun. Which is the needed number, yet think concerning all the different variety of people that will certainly be at your party or event. Also, a reputable party hire firm provides both the ring and the multiple sized helmets, which is what you should also be aware for. Some interesting read by Braveheart using sumo suits to raise money for charity, just read here. 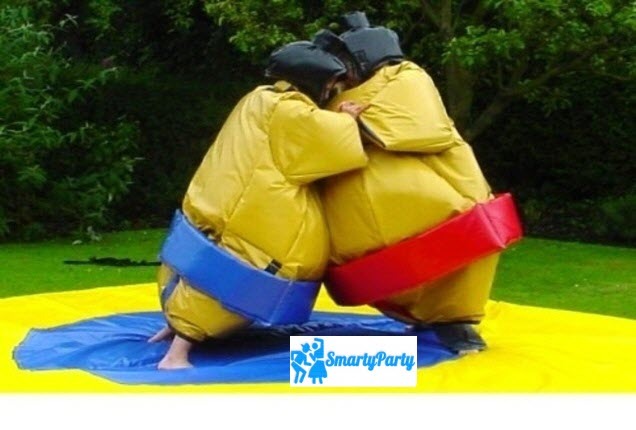 All of our Sumo Suits are filled with foam, not air, for quality padding maximising safety for participants. All materials are flame retardant and quality tested. The design of the suits means they are quick and easy to get on and off. Simply pop over the players head and lowered down so the hands and feet are visible. They have a specially designed safety hat which protects the head and is fastened with tough Velcro under the chin. A 3m square padded mat is supplied for the sumo area.